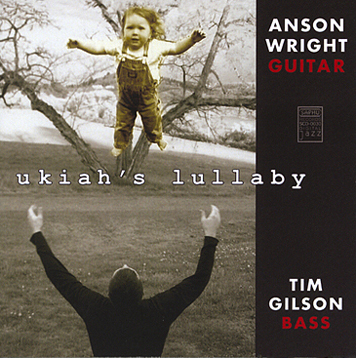 State of Grace and Ukiah's Lullaby are available through iTunes and CD Baby. State of Grace and Ukiah's Lullaby can also be purchased using PayPal. The Sky At Our Feet can be purchased using PayPal. "Stowell's intricate acoustic guitar work is at the center of this fairly new-agey disc... His guitars are occasionally double tracked, so his own lines cascade down from each other. It's a stark beauty the evokes the Southwest, which is fitting since much of the content here is about Chaco Canyon, a sacred and historic Native American place in New Mexico. 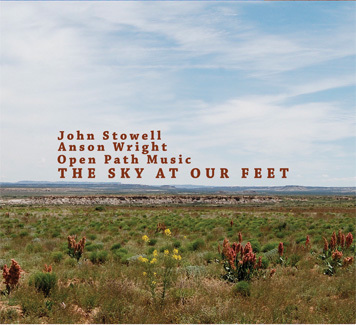 That content - poems by Anson Wright - is read with understated elegance by Stowell. 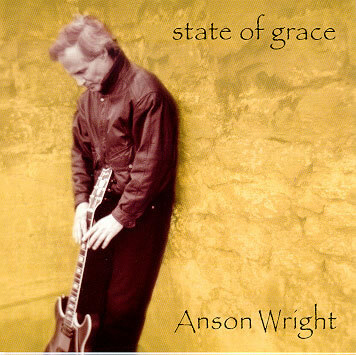 The words are few but powerful, and the combination of music and poetry comes across as sincere and effective...With light electronic scores by the Open Path Music collective, this sparse album serves its purpose - giving Wright an aural landscape to tell his stories. " "Sandstone Monastery is a lovely and loving book. 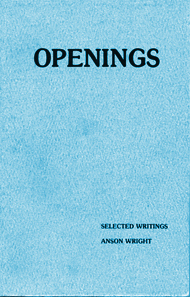 The poems use the particulars of the poet's life to touch the threads that unite us all, the invisible structures that support the visible world. The yearning for the sacred permeates the pages." 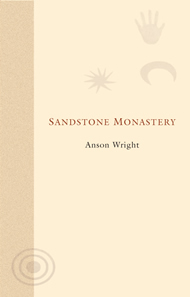 "Demonstrating a true mastery of memorable word imaging drawn from elements, experiences, and insights in respect to his personal life, Sandstone Monastery showcases the enthusiastically recommended poetry of jazz guitarist and novelist Anson Wright." 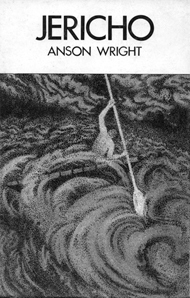 "Written by Anson Wright at the beginning of his multi-faceted career, Jericho is a towering novel that holds an important place in the pantheon of American letters... a masterful and transforming work." Jericho can be purchased as a Kindle book or as an iBook. Sandstone Monastery can be purchased at Amazon. Sandstone Monastery can also be purchased using PayPal. He has taught at New York University, Pacific University, and Portland Community College. Anson teaches in studio and via Skype. © 2007 Wes Wait Design. All Rights Reserved.